No persons in the world by now are without using internet and WIFI. But most failed to know about how does WIFI works? Let’s cover this topic today. WIFI is commonly known to be Wireless Fidelity. The word Fidelity means support. So, Wi-Fi means wireless support. Wireless technology has widely spread lately & we can get connected at most anywhere. Wireless networking is known as 802.11 or Wi-Fi. The name 802.11 is given by Institute of electrical & electronics engineering. The Wi-Fi will be transmitted at a frequency level of 2.4GHz or 5GHz. If the frequency level of Wi-Fi is 2.4GHz, then it is transmitting 11megabits data per second. If the frequency level of Wi-Fi is 5GHz, then it is transmitting 54 megabits data per second. It is the name associated to any wireless network. In simple, we can define it as WIFI-router. We have Wi-Fi at our home, how it is connected to internet? 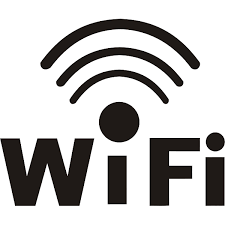 Wi-Fi will be connected physically to the internet by fiber cables or analog waves which uses telephones or modem. The purpose of modem and telephone is to convert the analog signals in to digital and digital into analog signals. Then it sends the information to the Wi-Fi ,Wi-Fi transmit the information through radio waves. Next HOW WI-FI SIGNALS PENETRATE WALLS?